BOBLO BOAT COLUMBIA BOBLO photo print photography art photograph for sale. BOBLO BOAT COLUMBIA photograph pictures prints photo art photography for sale. 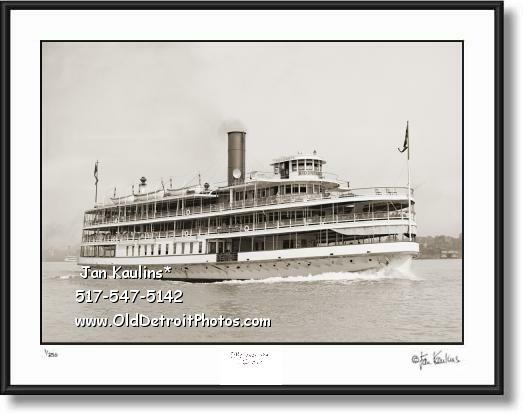 This is a wonderful very detailed BOB LO BOAT COLUMBIA STEAMER photo picture print for sale of The Bob Lo boat Columbia on The Detroit River ca. 1905. This image is made from the professionally restored original vintage photo/negative and is a very clear image of this historic BobLo boat Steamer Columbia.